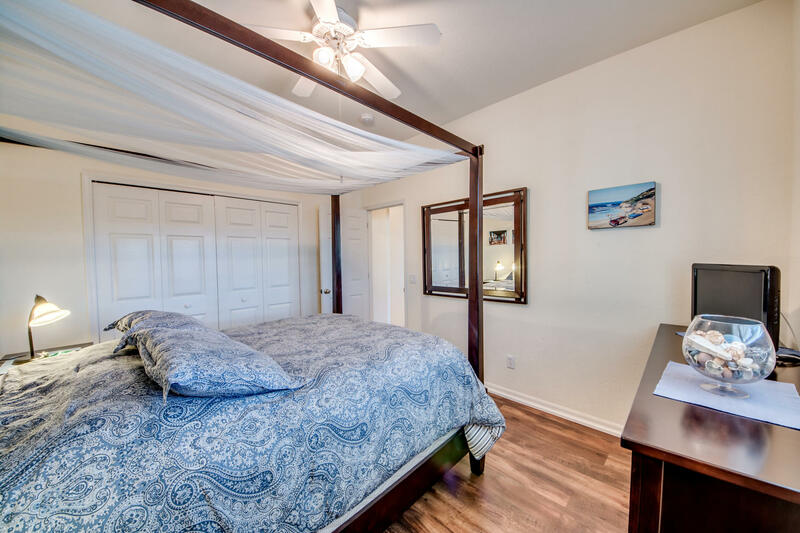 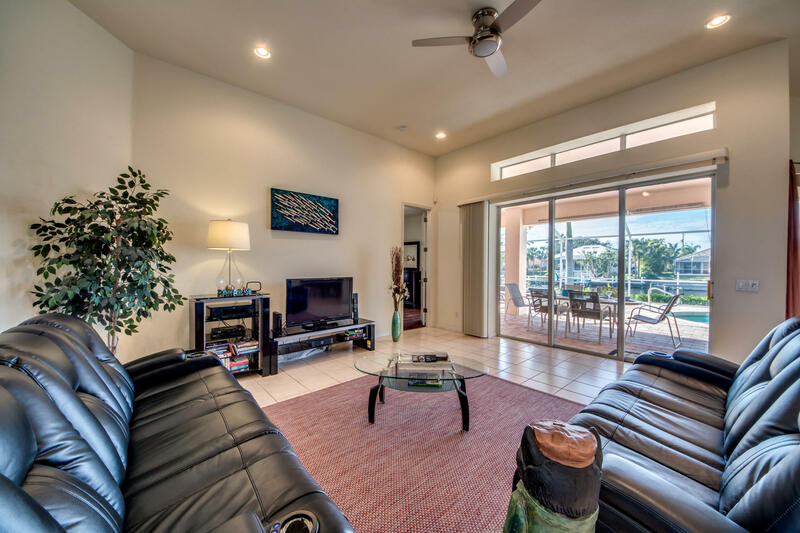 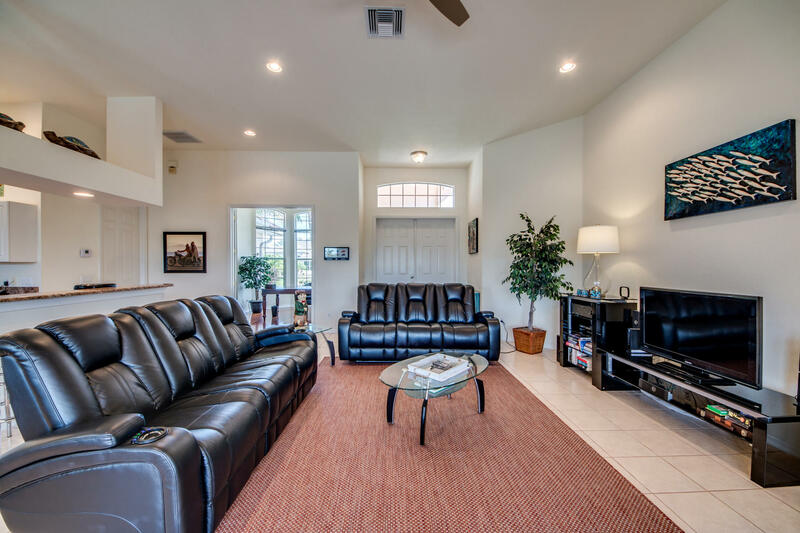 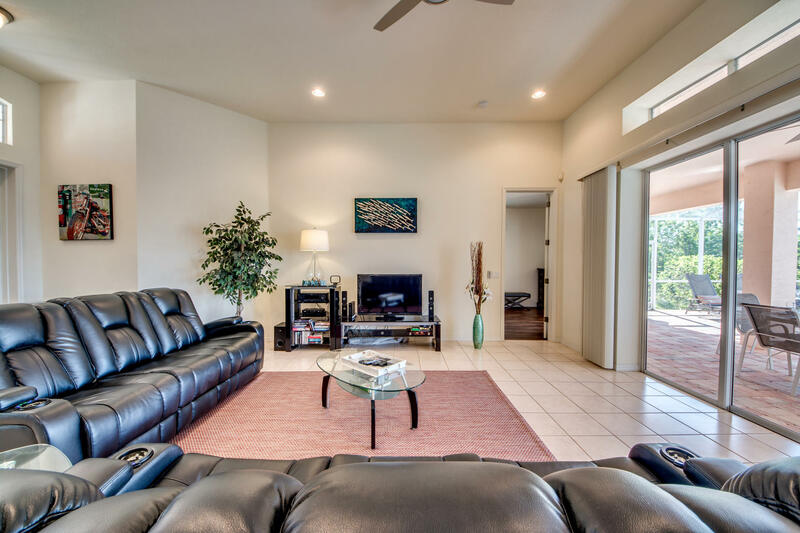 Our contemporary Villa Ravello features 3 bedrooms, 3 flatscreen TV’s and 2 bathrooms. 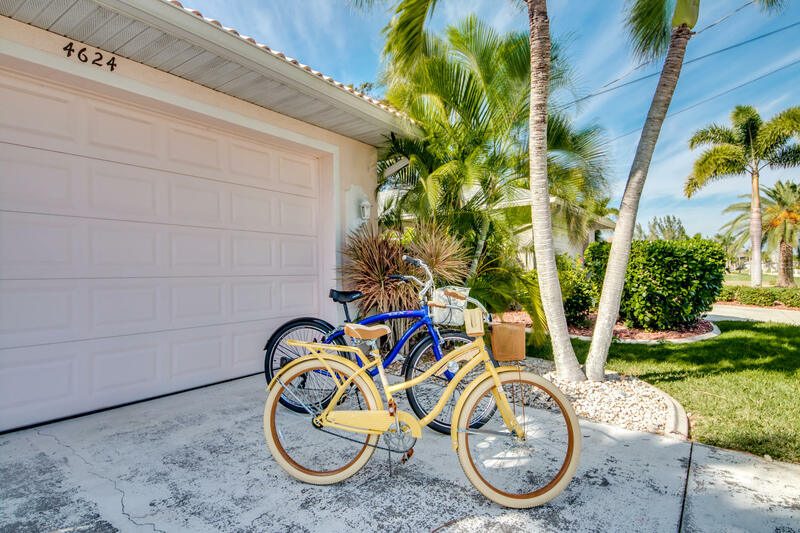 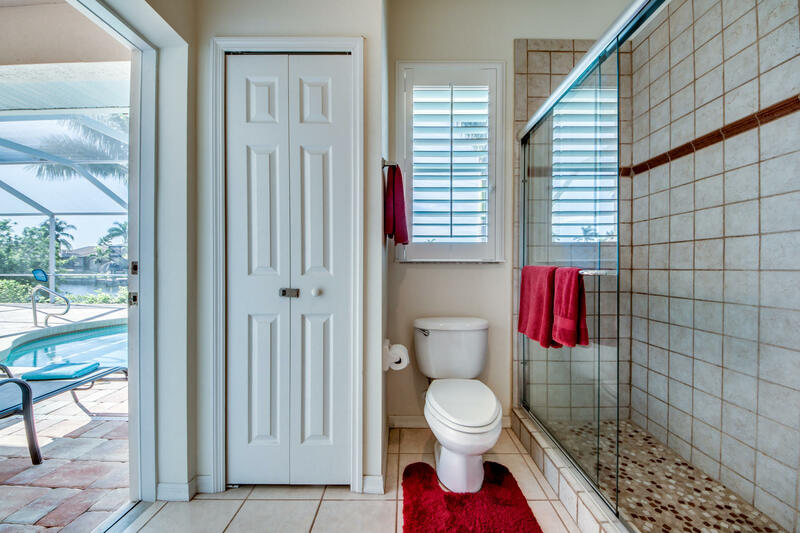 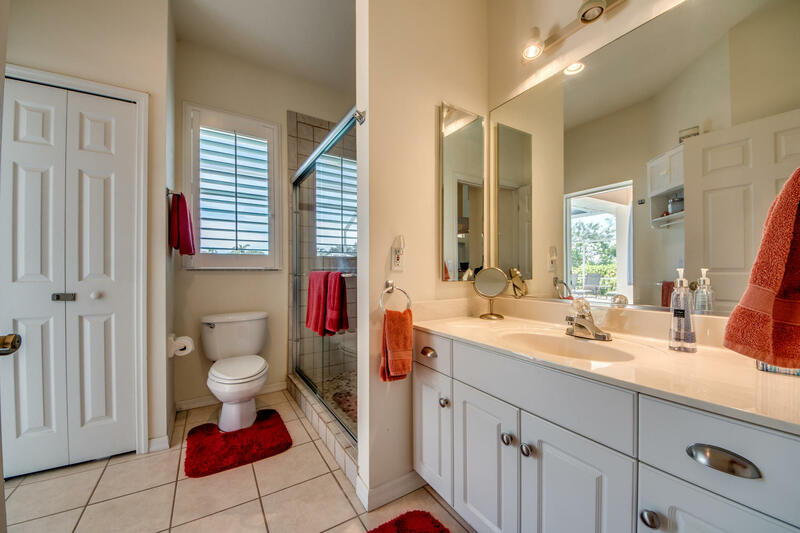 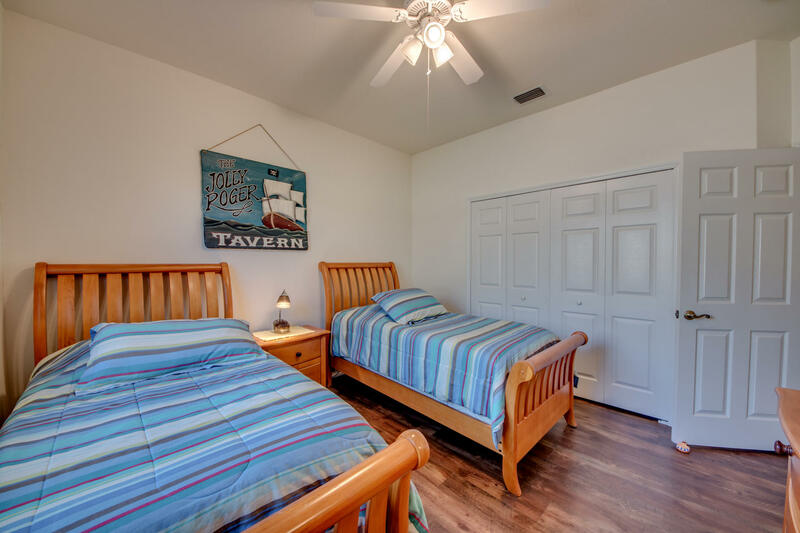 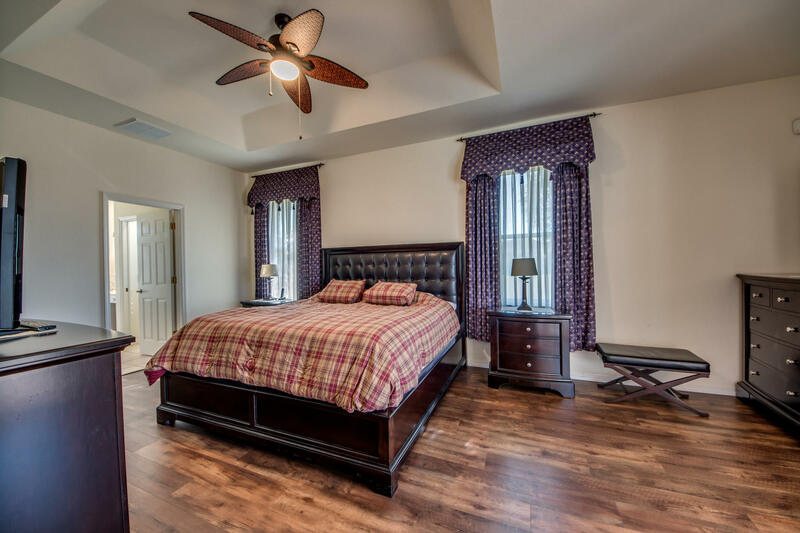 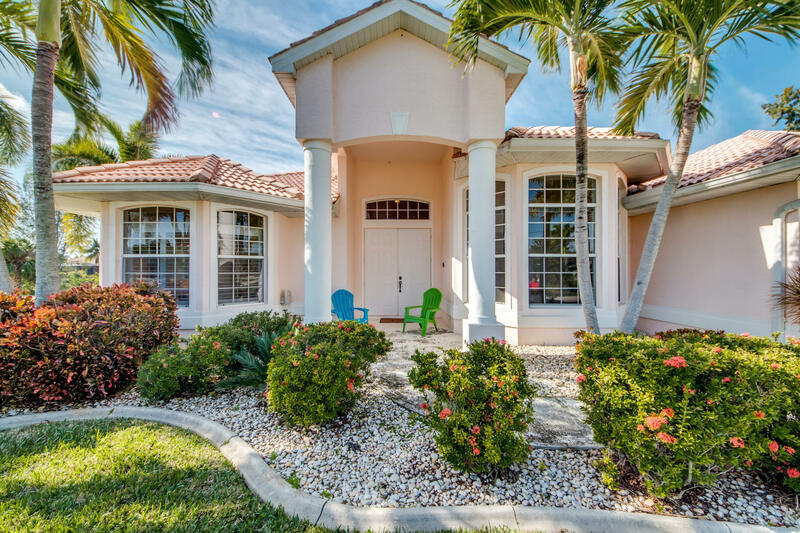 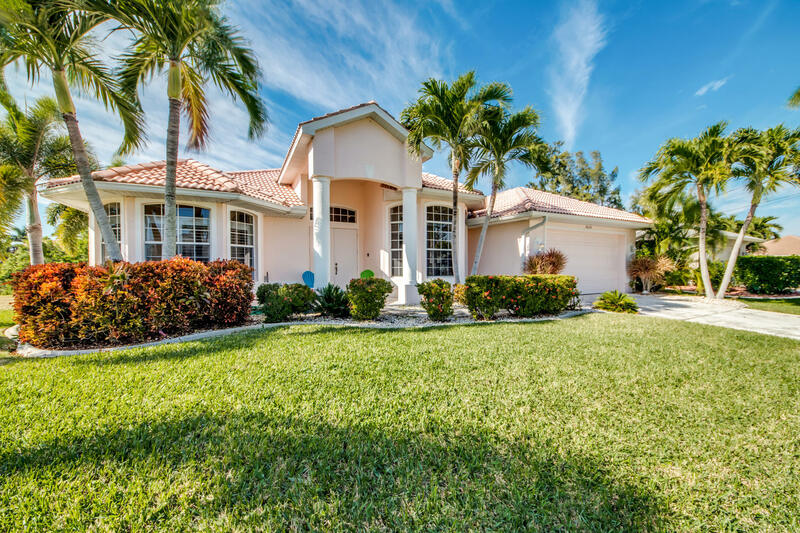 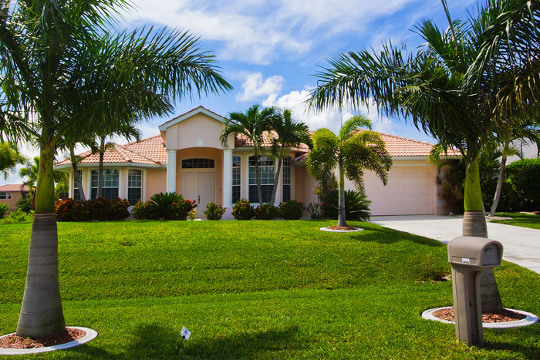 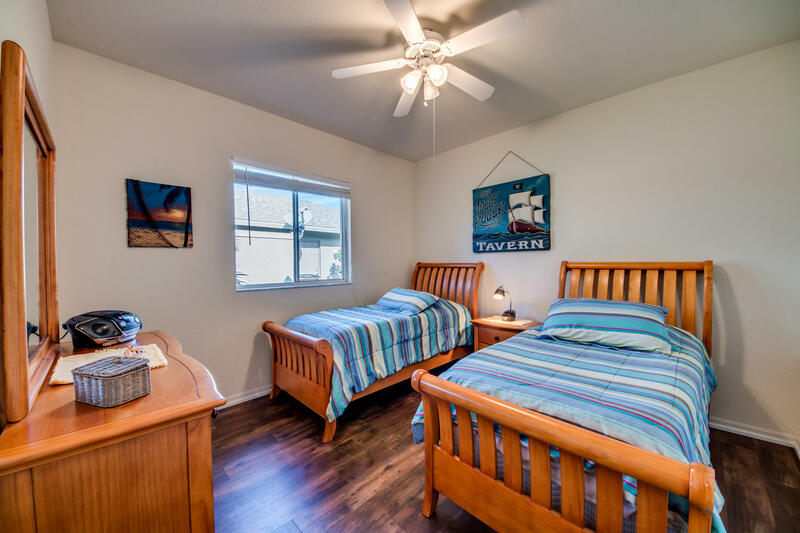 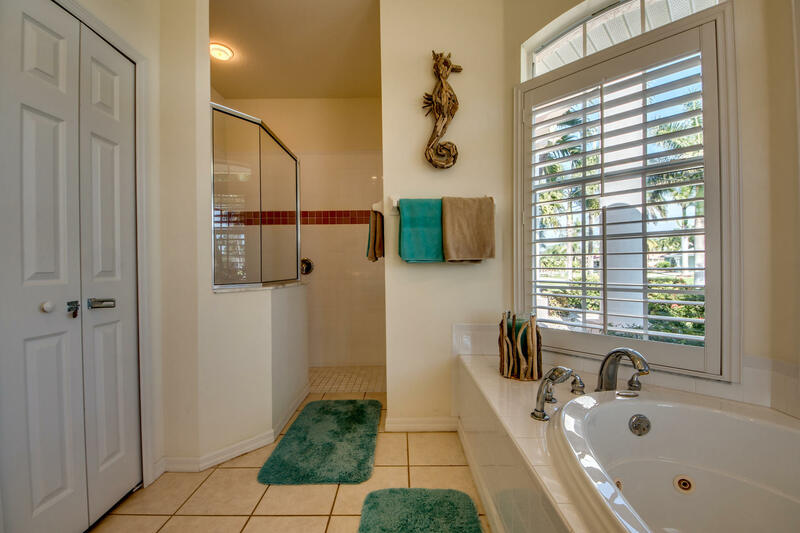 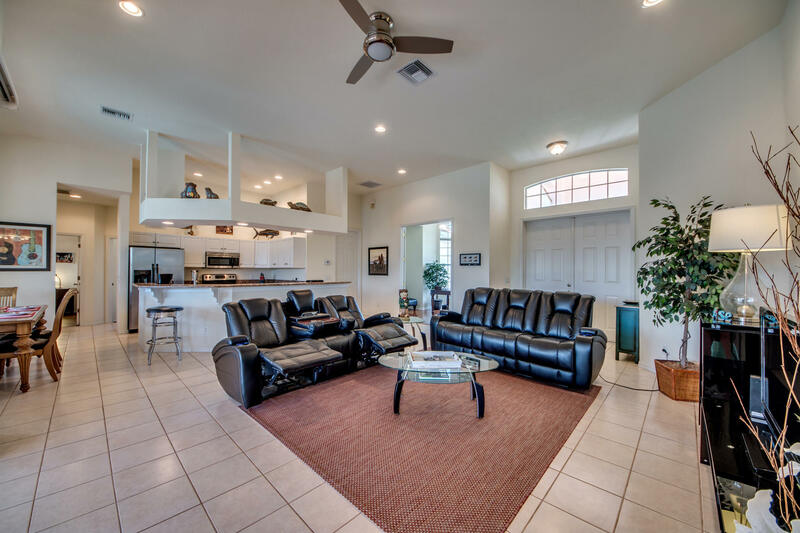 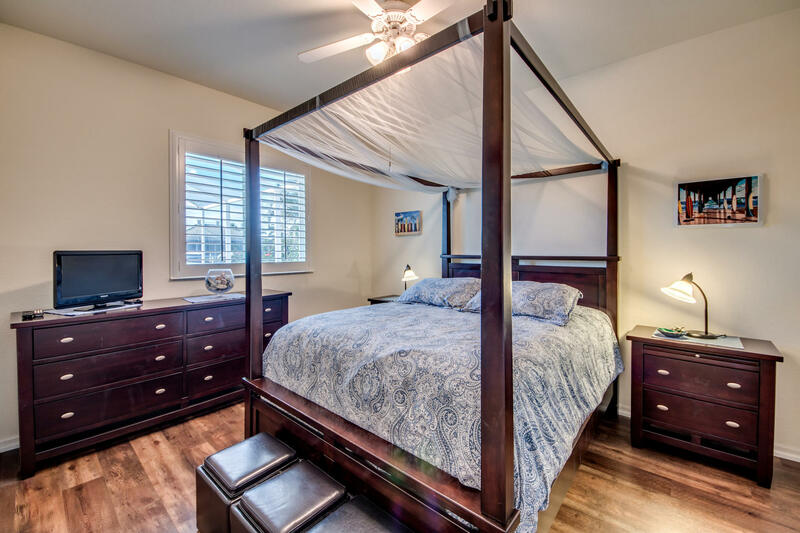 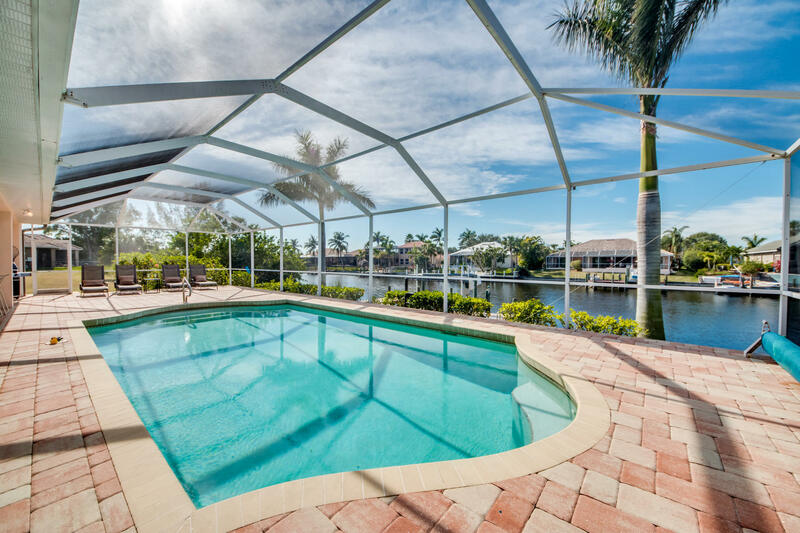 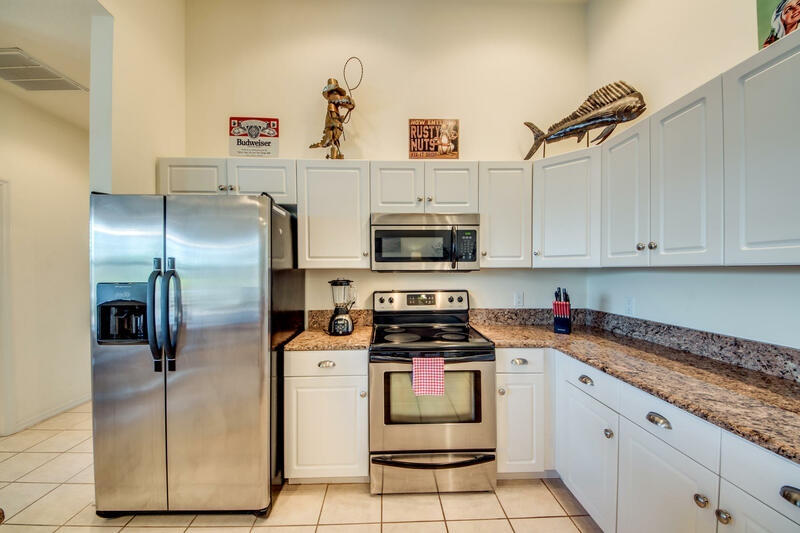 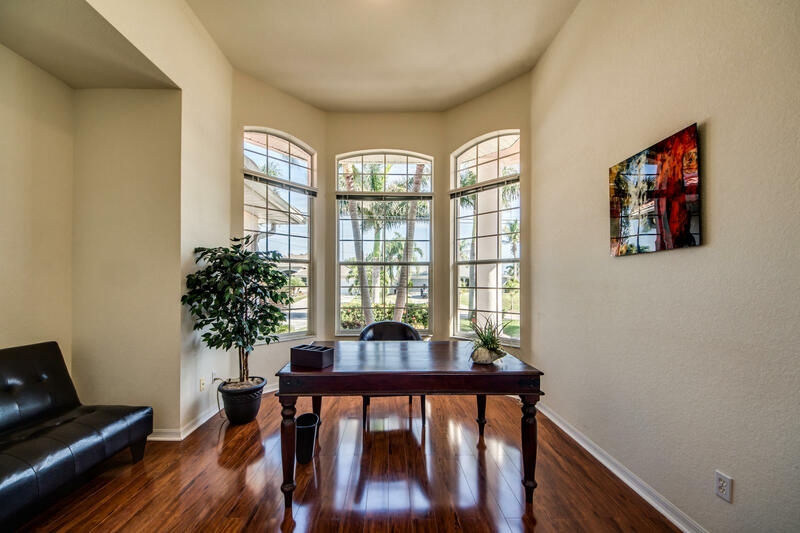 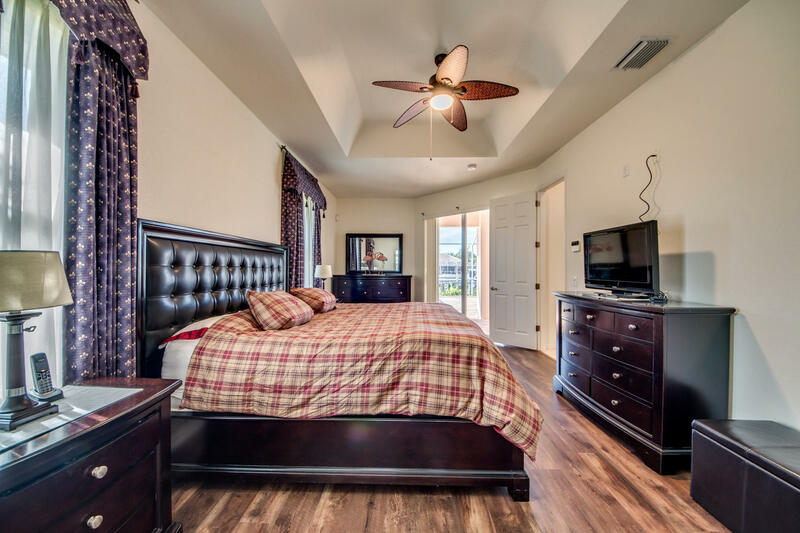 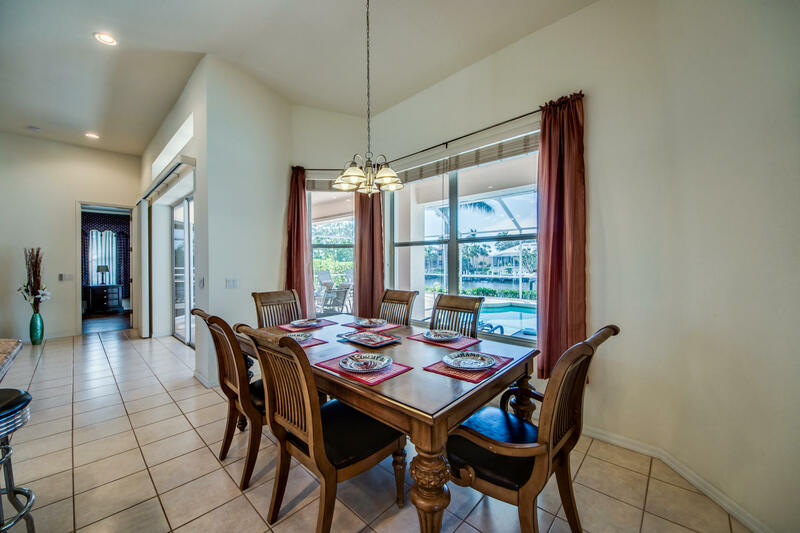 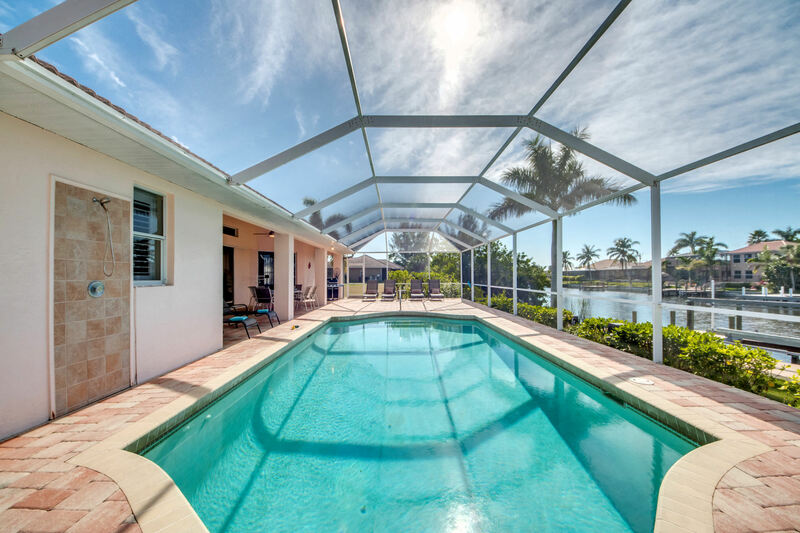 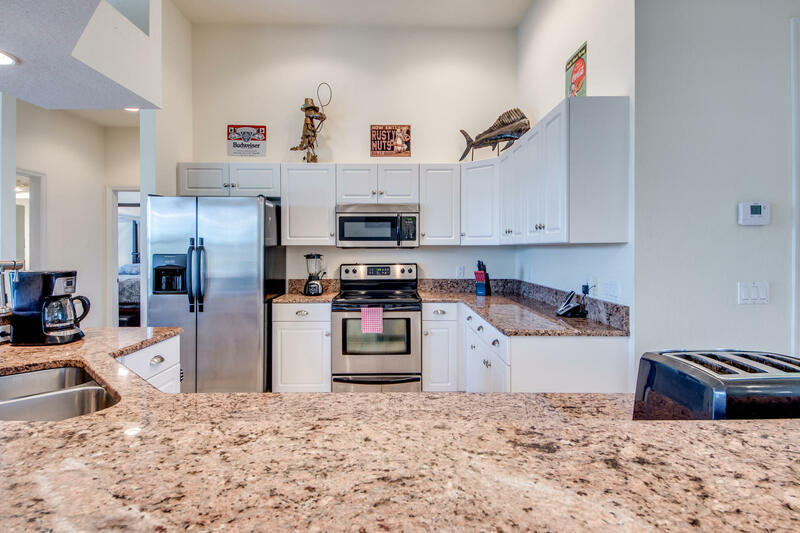 It is located in Southwest Cape Coral near the exclusive Cape Harbor area and close to a supermarket. 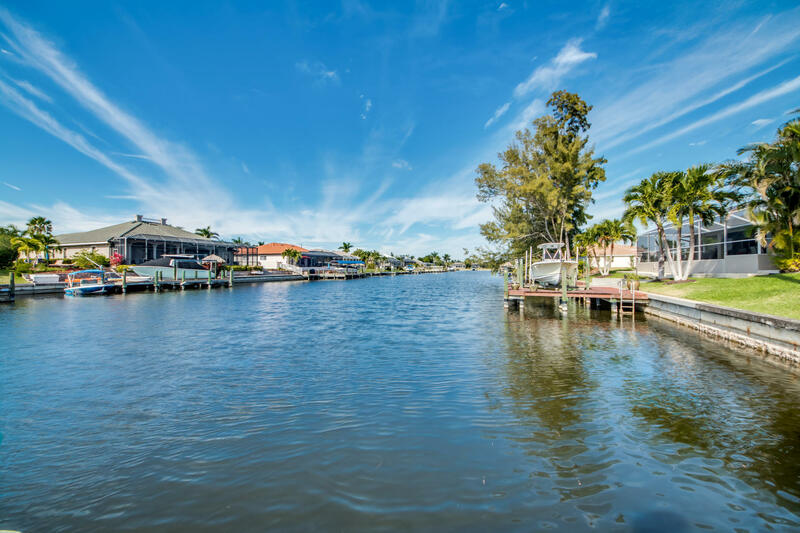 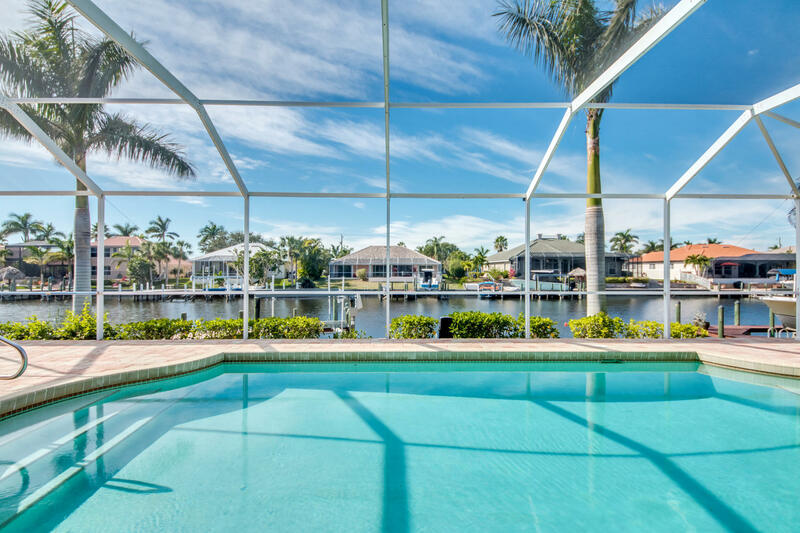 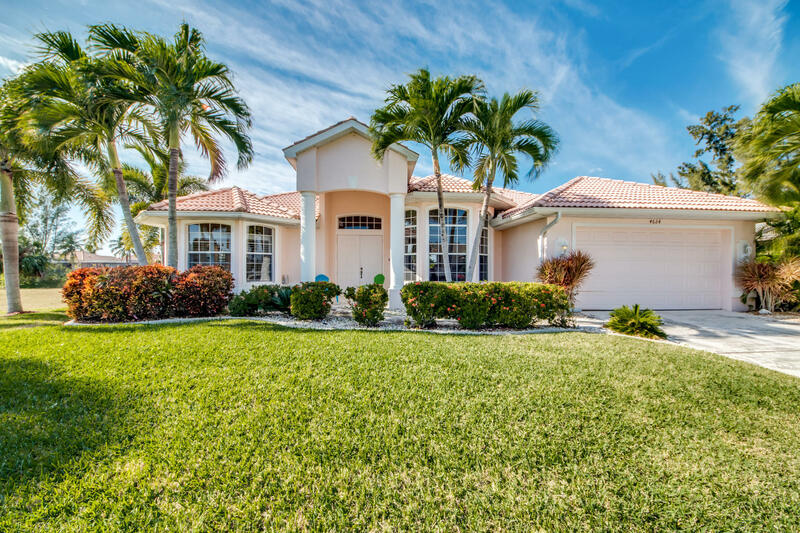 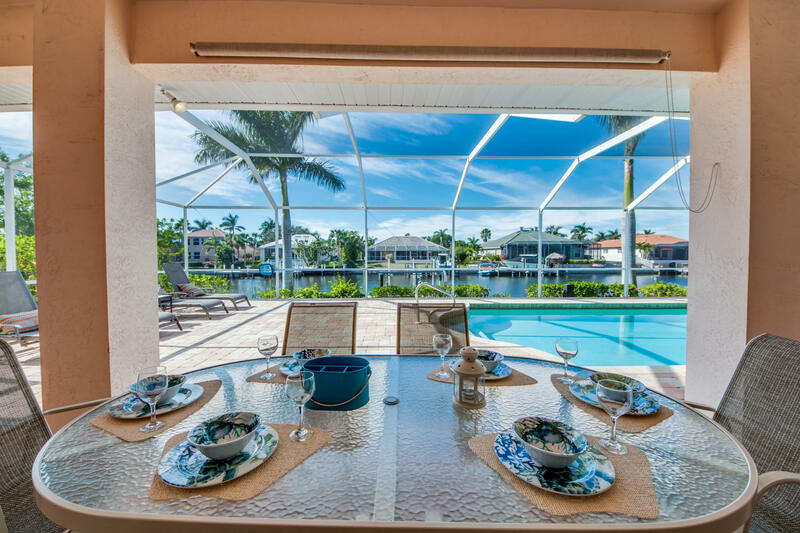 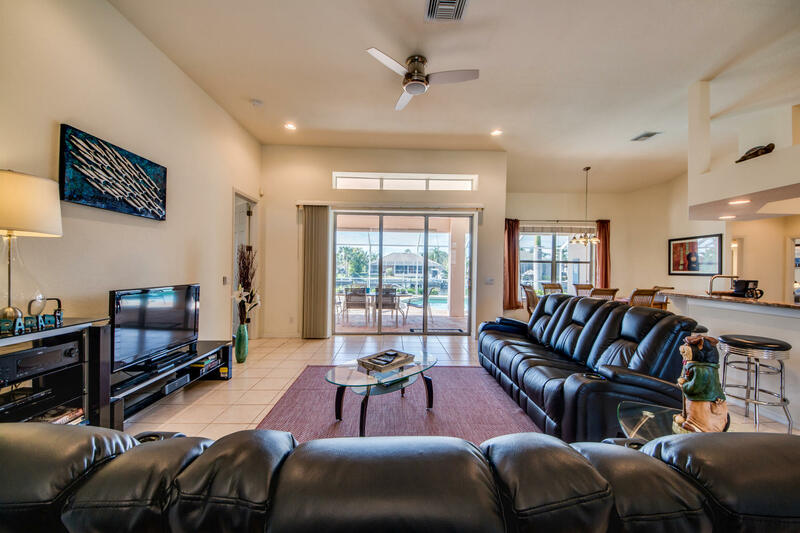 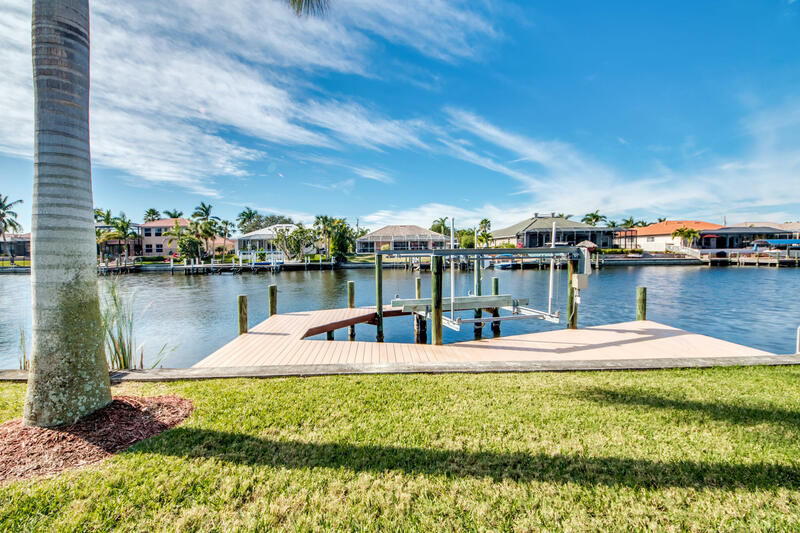 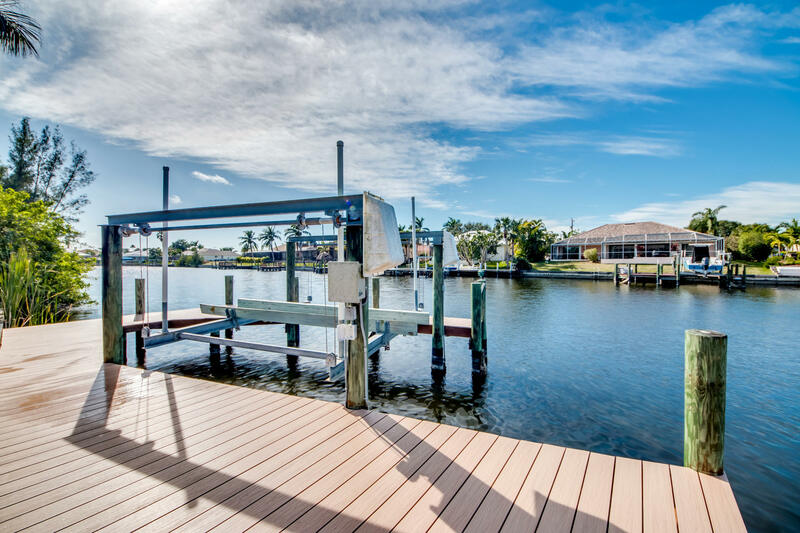 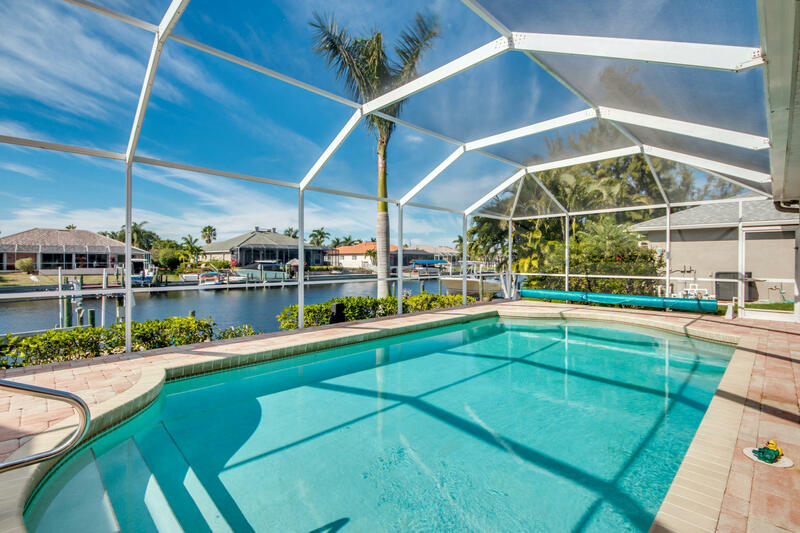 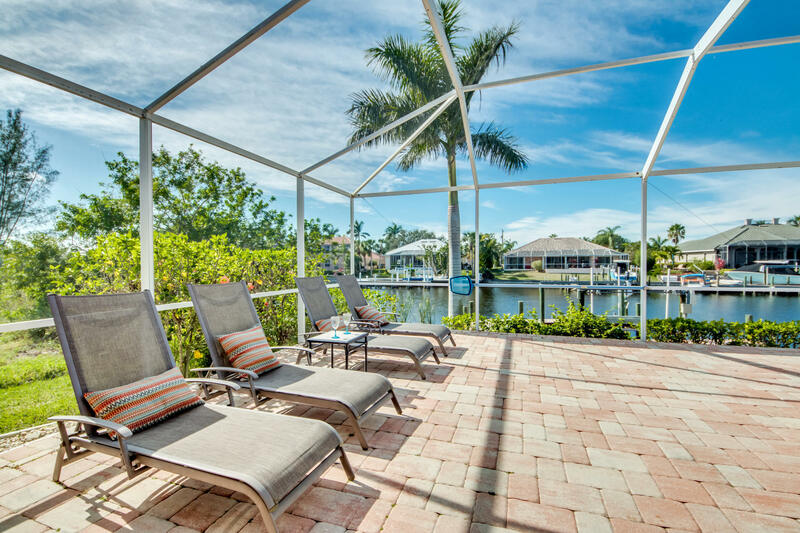 This villa has a stunning panoramic view and is ideal for boaters who want to enjoy the Gulf of Mexico that you can easily access through the extra-wide canal where this great villa is located at. 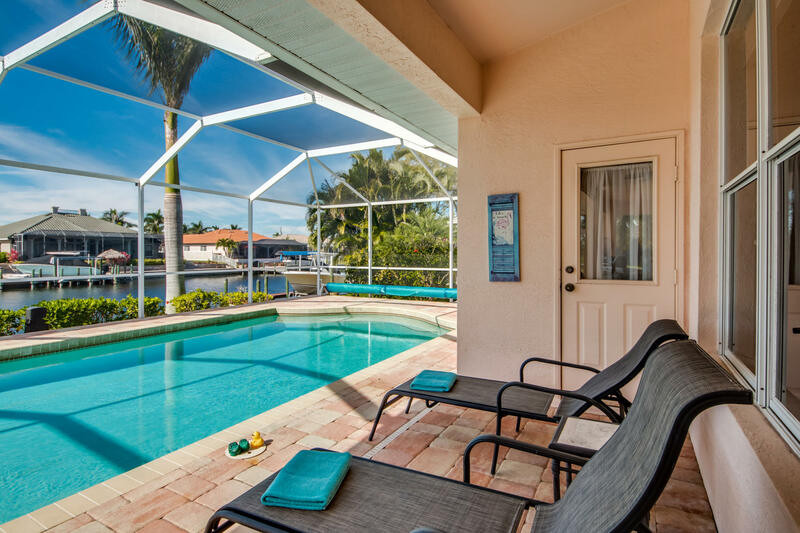 We also provide you with a selection of boats that you can rent from us on our website www.cape-coral.rentals. 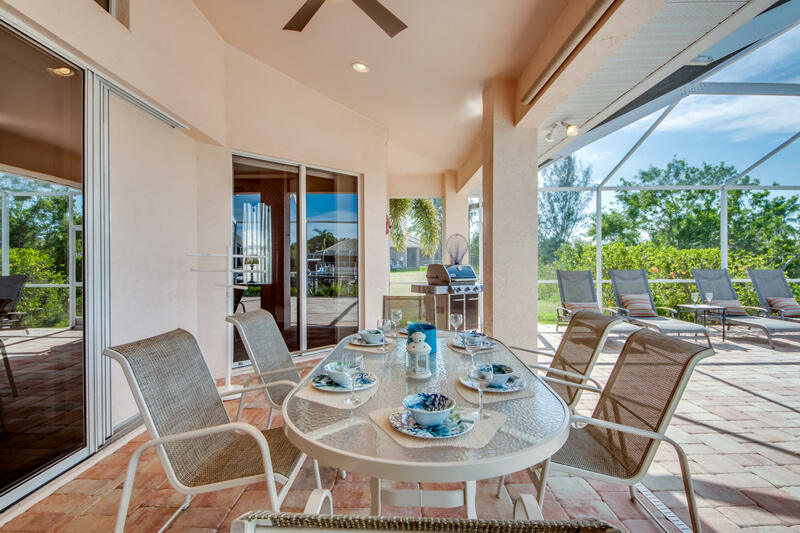 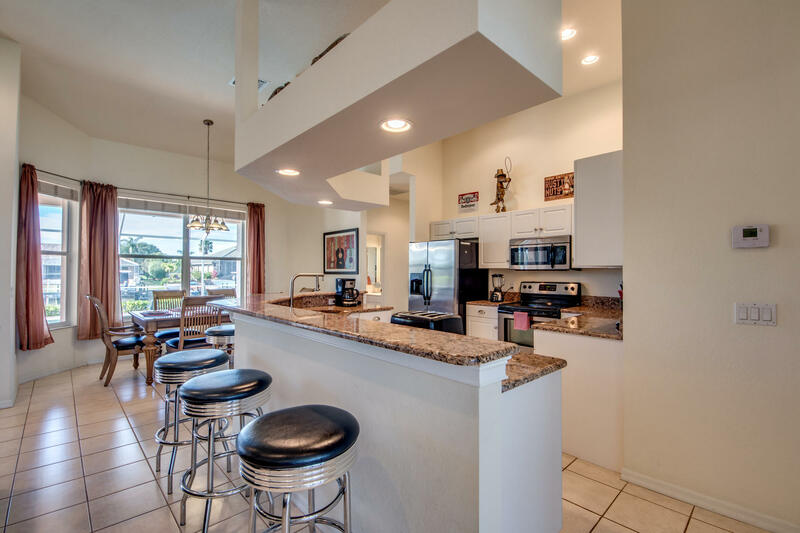 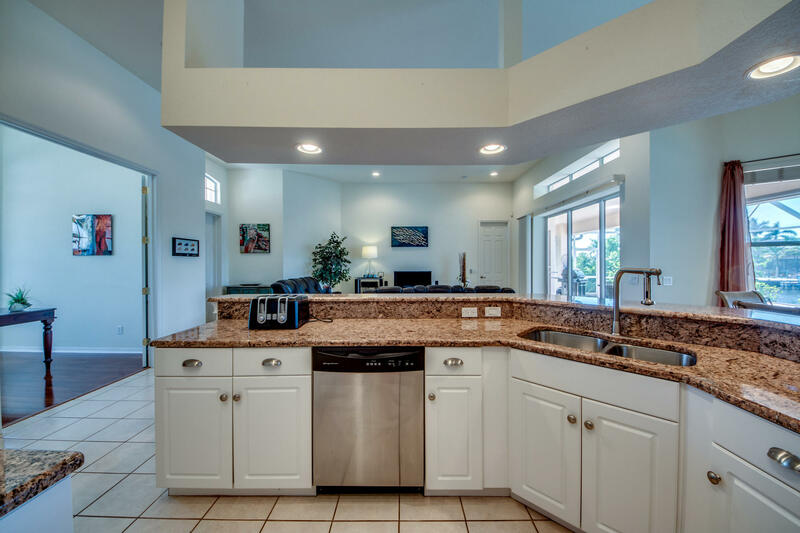 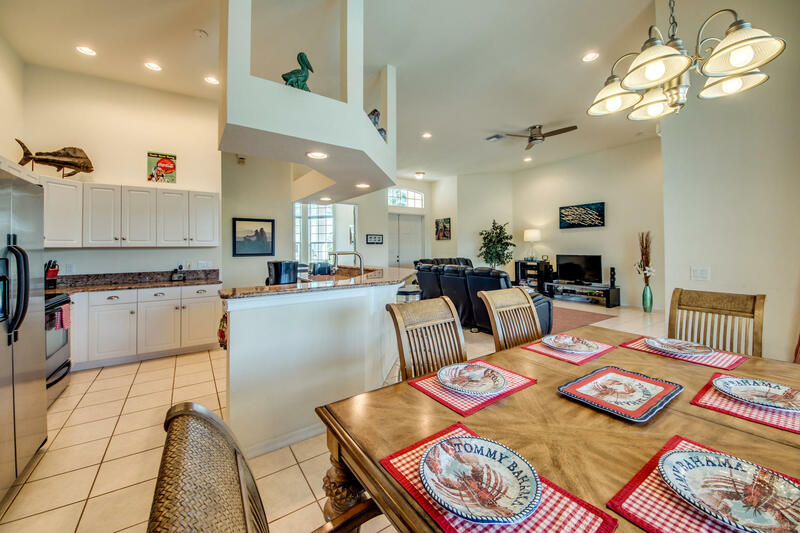 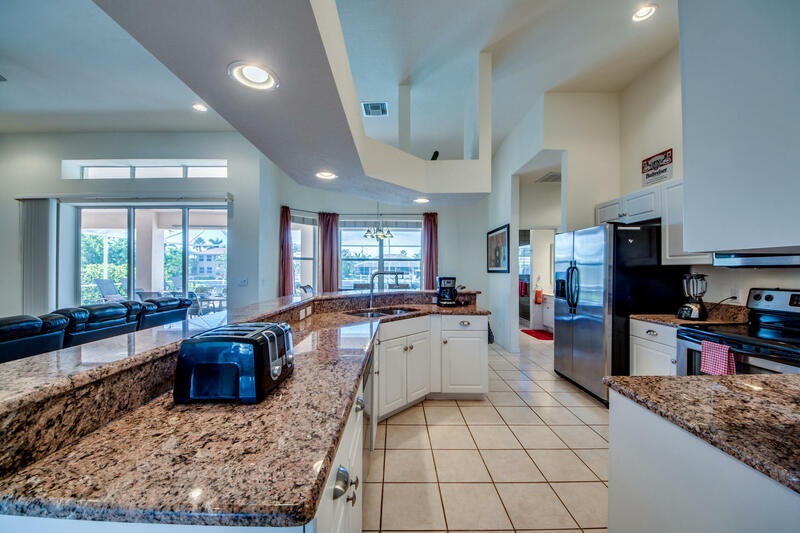 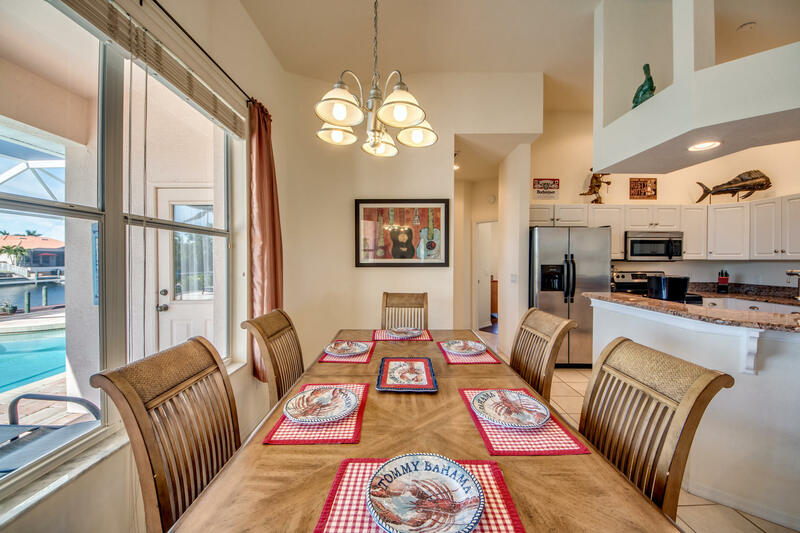 For entertaining family and friends this villa has a modern kitchen with high-end appliances. 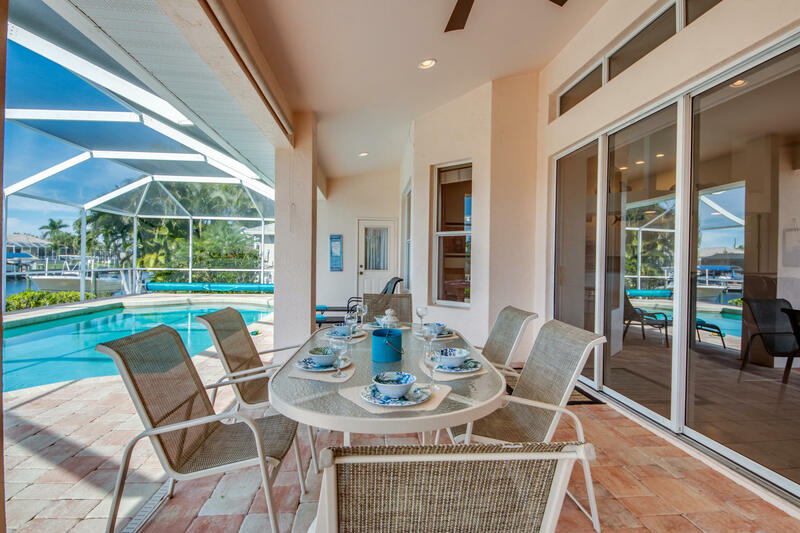 The western exposure of our Villa Ravello ensures unforgettable sunsets and great BBQ’s at the poolside. 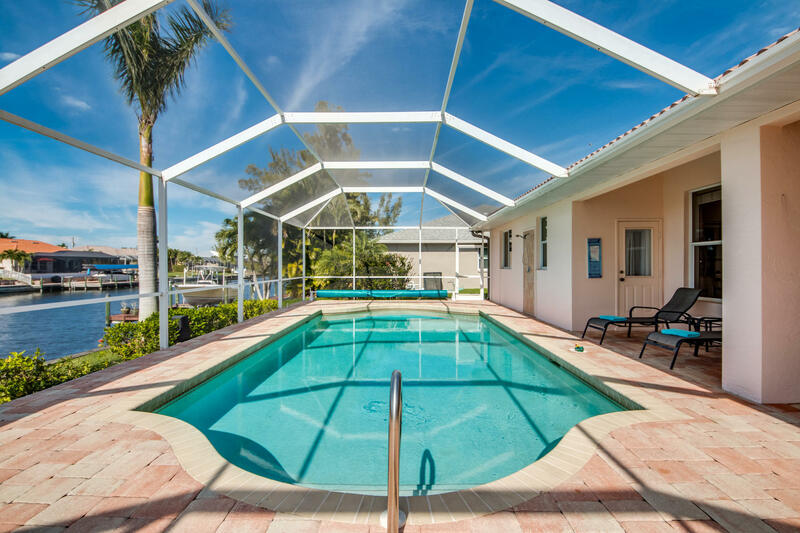 The pool can be heated electrically and is definitely the central hub for your vacation. 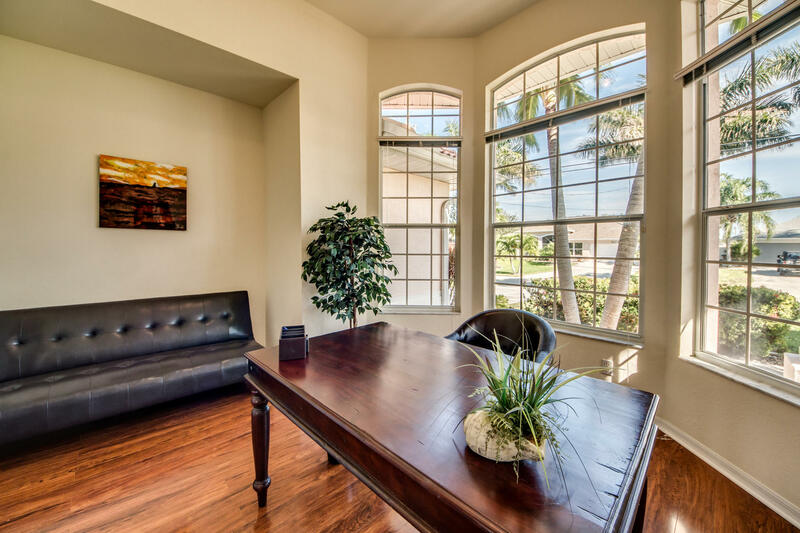 If you need a private space to get some work done, the villa offers you a modern office with free high-speed internet.